Flatmattersonline - Rest In Peace Hiro Tsuchida 1969-2019. Today is a sad day. I awoke to the news, Hiro Tsuchida from Chicago has passed away. I have this belief that we as flatlanders have to love and embrace flatland as a culture in order for it to truly blossom. Hiro Tsuchida is one of this riders who went out of his way to help everyone who crossed his path, and is the rock of the Chicago flatland scene. 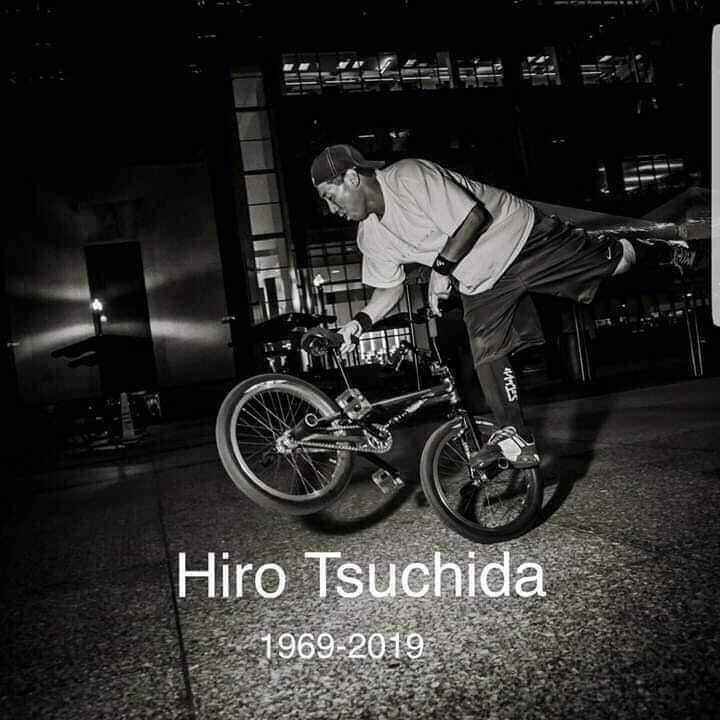 We have truly lost one of the great guys in our global flatland scene, Hiro is what flatland is all about to me. My thoughts today are with his family and friends. Rest In Peace Hiro, thank you for all the good memories. Rest In Peace Hiro Tsuchida 1969-2019. Matt Wilhelm, was one of the many riders Hiro impacted. I took some words this morning from his social media. Rest In Peace Hiro Tsuchida. This is a recording of Hiro I took at a reunion jam in 2015. It was by no means a farewell, but a message to keep riding and keep the scene together. For those who don’t know, Hiro was an icon in the Chicago BMX scene. He gave me my first big break as a 15-year-old kid, allowing me to ride in one of his shows. Over the years we rode together all the time, I performed in tons of shows for his Fastbreak Freestyle Trick team, and we went on countless road trips together. We became great friends to the point that I stood up in his wedding. Hiro was one of the first riders I really idolized. When I was just an average nobody BMX kid with a crappy bike and a dream, Hiro took me under his wing. He would drive from the Northside to the Southside to pick me up, drive to the city to ride with others, drive back to the Southside to drop me off, then drive back home to the Northside. I mean who does that??? Hiro was instrumental in my life and career. I have so many great memories and stories to share, but this is not the place. We will have to have a huge Hiro memorial jam to swap stories and honor this larger-than-life legend. Thinking back to all the times we rode together I can’t think of a single time when he wasn’t laughing, smiling, and trying to get you to laugh. So even though it might be hard to see one of our own pass, let’s try to think of a time when Hiro made us laugh. That should not be too hard. Hiro would have been 50 in March. He was in excellent physical shape as he was still riding, so this is a huge shock. The BMX community lost not just a great rider, but a great person. He will be missed more than I think he ever would have known. When he said “BMX for life” in the video he truly meant it. Rest In Peace Hiro Tsuchida 1969-2019.